In 2011, PNH acquired a first of its kind permit from the US Forest Service. 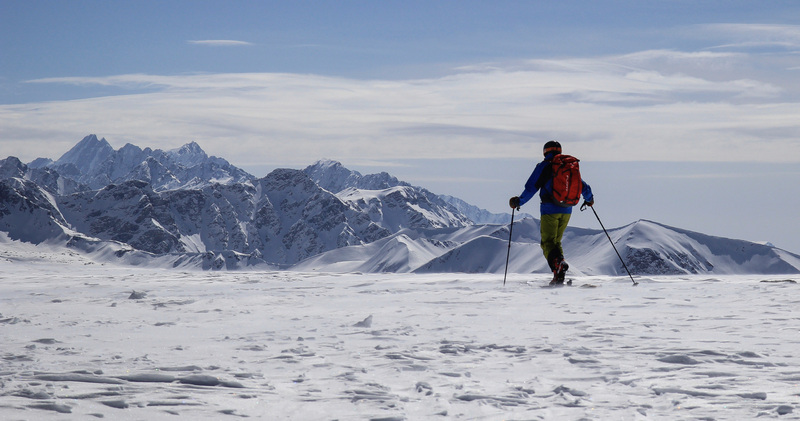 That winter, myself and co-guide Jeff Dostie were able to engage in a feasibility test scouting terrain for camps, ascents and descents in a non-motorized area of the Chugach Mountains of Alaska. In 2012, we welcomed four weeks of clients to glowing reviews with each new week bringing unlimited powder skiing as well as the establishment of several never before climbed or skied lines. 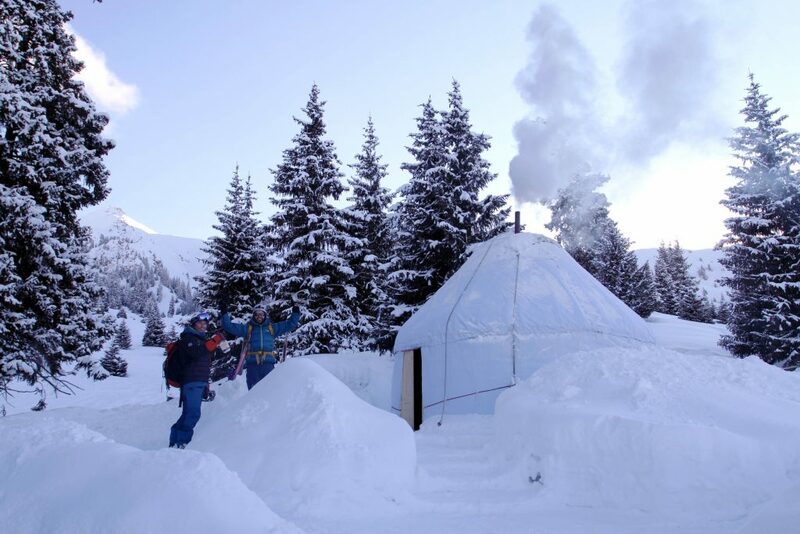 In 2013, we did more of the same as 236 inches of snow fell on our camp during the 4 Week season. In 2014, we established more new lines in one season than in the previous three years combined. In 2015, we welcomed Warren Miller Ent. to Tour Camp to film for a segment in their 66th ski movie, Chasing Shadows. In 2016, the Tour Camp crew was able to make the first ever ascent of the mighty Sphinx. 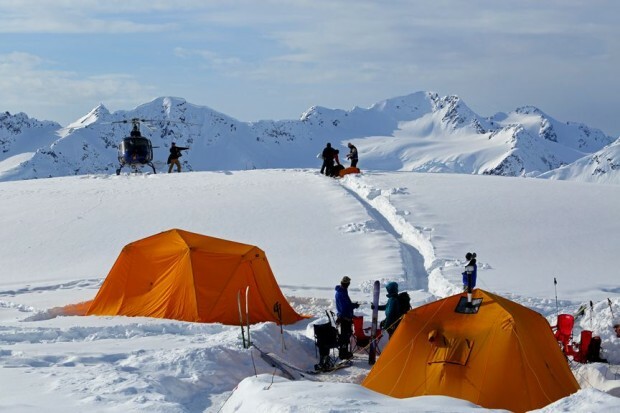 In 2017 we enjoyed another sold out season with a super fun slew of guests, including hosting the Finding the Line crew for part of their Alaska film segment.If you’re a backcountry skier/rider this is the definition of a dream trip! 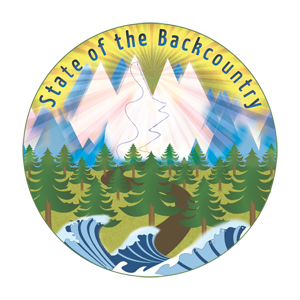 As co-guide for the heli-touring program along with my partners Jeff and Wes, our leaders Kevin and Jessica, and the rest of the PNH crew, we invite you to come visit us in Alaska for the backcountry experience of a lifetime. We are currently taking reservations for 2019 as after our 2018 season, we’re looking forward to a potential new spot to call home for a few memorable weeks in the Chugach. 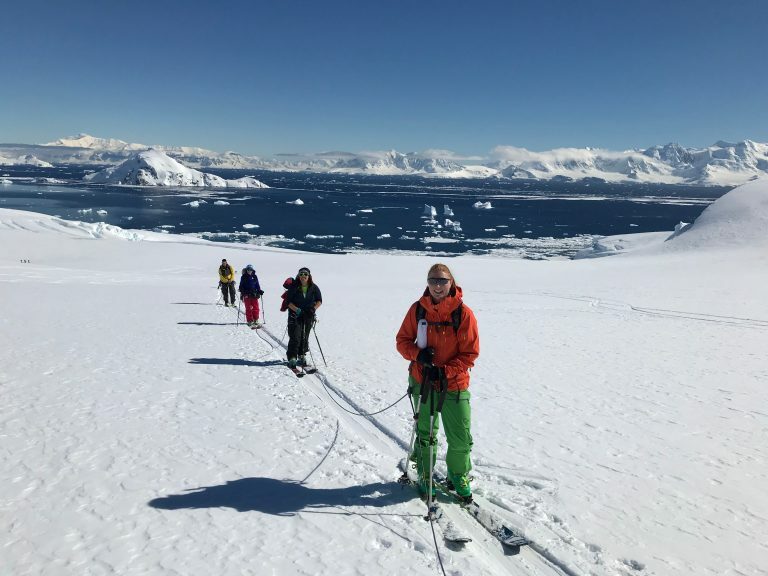 Ice Axe Expeditions leads “once in a lifetime” trips to the North Pole, South Pole and the Amazon, as well as ski focussed trips to Svalbard ,Greenland, Iceland, Kamchatka and the Antarctic. In 2009, I joined the Antarctica expedition and was able to help support Ice Axe as well as Warren Miller Ent. for the filming of a segment of their ski movie. You can check out some stories from that trip here. We had a great trip in 2015, 2016, and in 2017. I’m thrilled to be invited to guide this incredible experience again in 2018. Contact me if you’re interested in skiing Antarctica in November 2019 as we are sold out for the 2018 trip! 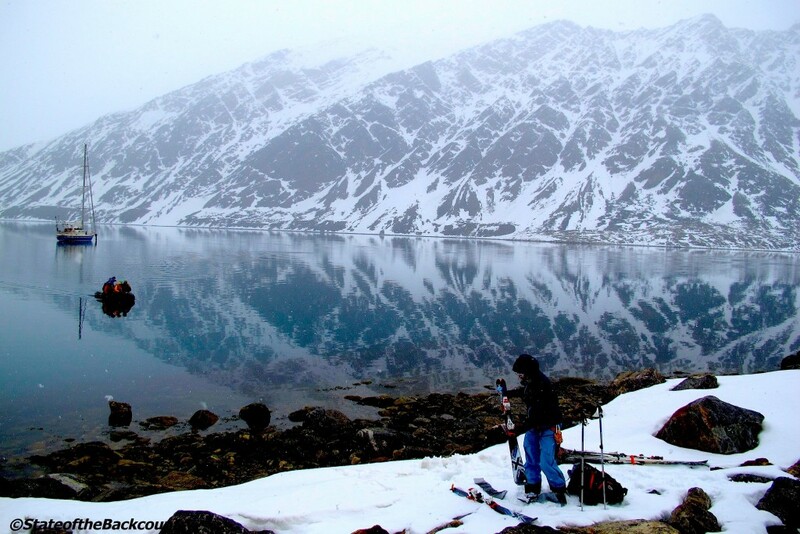 In May, 2013 I co-guided one of the many unique ski expeditions offered by Ice Axe Expeditions to Svalbard Norway. You can read more about that trip here. Imbedded within that article are links to several other online articles about the trip. You can also read about the expedition in the December issue of Freeskier Magazine. Be in touch if you are interested in this unique sail-to-ski trip of a lifetime! In April, 2014 I was fortunate to be a member of a group of pro skiers and guides who set out to map and explore terrain near Sisimiut, Greenland. The people, experience and ski ability of the area is world class. Like our program in Alaska the opportunity to climb and ski never before touched lines are a major part of this expedition. 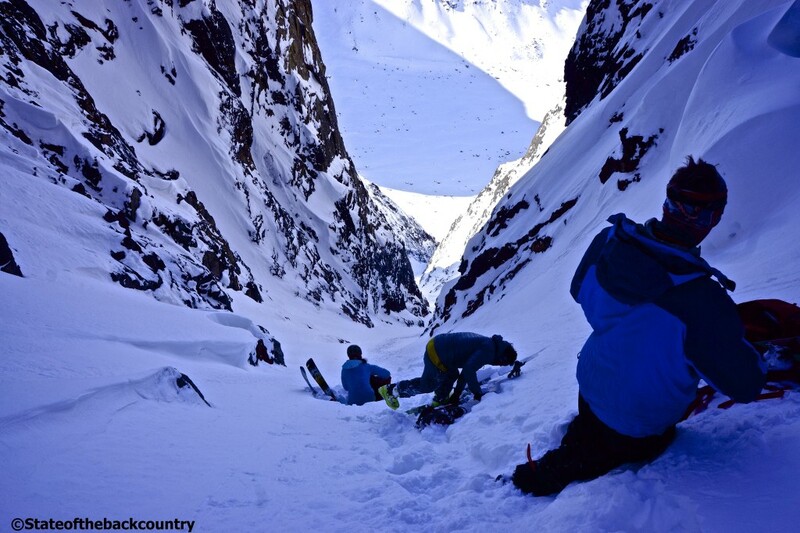 Check out a story about our trip on backcountry.com. In April, 2015 I co-guided a group back to Sisimiut. We had exceptional conditions and enjoyed another standout visit in 2017. We will be back in 2019 and have one sold out week (April 4-14) and one open week, March 28- April 4. You can check out some photos and stories from the 2015 trip here and here. There’s also beautiful piece available in print and online from Ascent Backcountry Snow Journal. Please be in touch if you want ski in Greenland! And if you’re interested in Iceland here’s a few shots and words from our trip in 2016. Ice Axe is offering some great Icelandic itineraries for 2019! I am super excited to be guiding Week 1 and 2 in Kyrgyzstan for 40 Tribes this January and February. We are also planning to work together in Siberia this December! Take a look at what 40 Tribes has to offer and be in touch if anything speaks to you. This group is culturally conscious, and travel to some of the most out-there locations you can imagine. 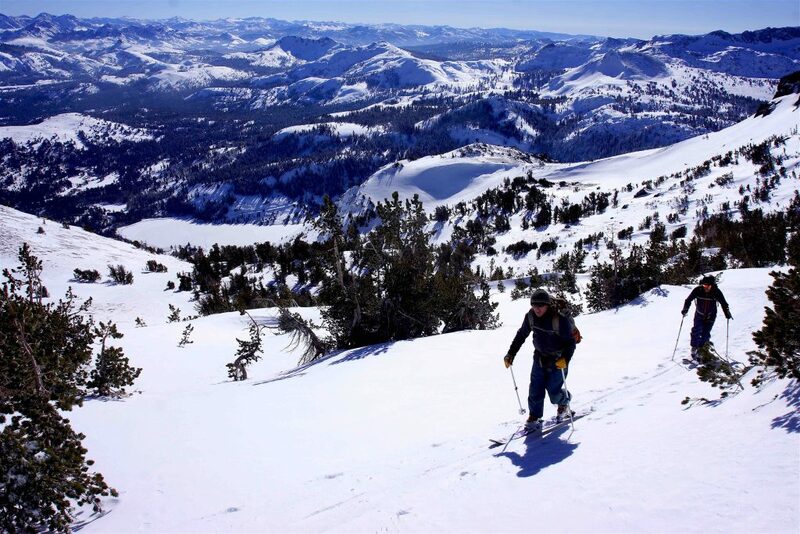 NASTC: Local Tahoe Private Ski Guiding with NASTC: Specializing in private backcountry skiing instruction and day tours throughout the fall, winter, and spring. 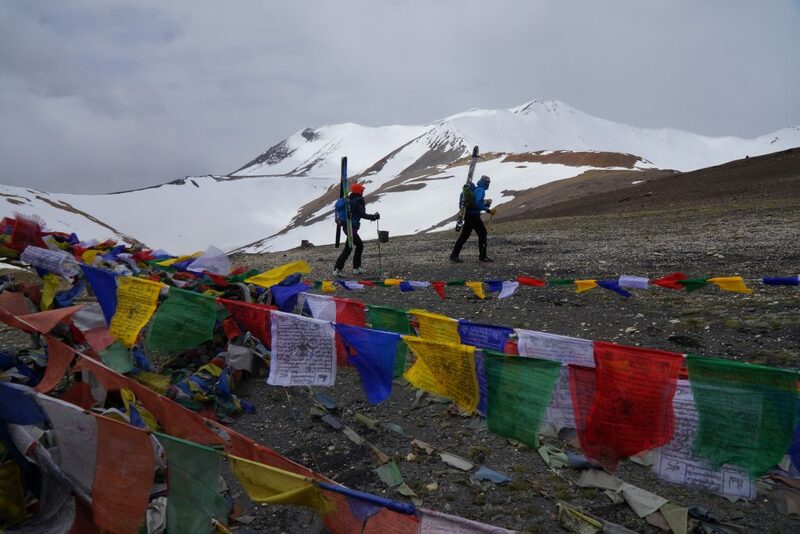 In February, 2015 I guided for the Adventure Project in the Kashmir Himalaya. Gulmarg boasts some incredible skiing, although this is one of those trips that’s so much more than just making turns. You can check out some photos and stories from our 2015 trip here and here. The Adventure Project will be back in Gulmarg in 2019, and is also making plans to start running trips to China in 2019 as well. In the early winter of 2019 is January and February in Japan. Be in touch if these trips interest you at all! In May/June 2017 I was able to join lead guide and owner Luke Smithwick to ski guide an exploratory expedition into the Indian Himalaya. You can check out some photos and reports from our trip here. We plan to continue building and offering basecamp style trips in the years to come focussing on ski touring in the Himalaya. These trips are as culturally significant as they are skicentric. Be in touch if you have any interest in skiing in this special part of the world. Is this real? A common question that gets asked when ski touring on the Antarctic Peninsula. Contact me for more details on skiing in South America, California and the lower 48, or anywhere you’re thinking about. Let’s create your dream trip together!